When buying your cleaning supplies online, you’ll first want to stock up on the basics. Investing in a few pieces of durable cleaning equipment can save you time and money in the long run. Consider both your lifestyle and your cleaning needs so that you can select the options that work best for you. 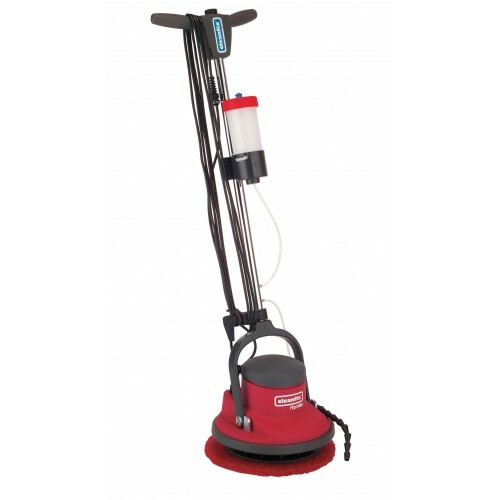 Broom  The humble broom may not be glamorous, but it is one of the most hard-working pieces of cleaning equipment you will own. When buying a broom, look for flexible bristles and a comfortable handle to make quick work of sweeping your floors. Angled brooms are useful as well; they can reach into nooks and crannies. Models that come with attachable dust pans make storage easy so that you’re not left with a pile of dirt and scrambling to find a misplaced dust pan to sweep it into. Mop  Like a broom, investing in a good quality mop will make your kitchen cleaning routine easier. Mops come in several varieties. The old standby cotton string mop and bucket is a good option. These mops are easy to use. To add a little fun to your cleaning routine, consider purchasing a cotton mop head in your favorite color. Another option is a flat, microfiber mop. Microfiber mops come with convenient detachable covers, which can be thrown in with the laundry and reused over and over. With all the mopping choices available, there is a mop for everyone. Scourer Pads  No kitchen cleaning assortment would be complete without some scourer pads. Scourer pads make quick work of food-encrusted pots and dirty pans. They are also handy for cleaning off ceramic stovetops and scrubbing down the kitchen sink. For the best results, stock up on both scourer/sponge combination pads and the heavy duty scourers. With these on hand, you’ll save yourself more than a little elbow grease when tackling stuck-on messes. Absorbent Towels and Rags  Rags are one of the most versatile tools in a kitchen. They can make quick work of spills, wipe down counters, and polish up a stainless steel appliance. They also happen to be one of the most eco friendly cleaning products on the market, far superior to cheaper disposable options. Just use and launder. Look for high quality towels and rags in knit or cotton, which will serve you well for years to come. Gloves  A sturdy pair of gloves can be an asset in the kitchen. Although there are many light-weight disposable versions on the stores, choosing gloves made out of thicker, more durable plastic prove longer lasting and more effective. Good gloves protect your hands from the everyday damage that washing dishes can cause for delicate skin. For the occasional deep clean of an oven, gloves are a necessity. They also give you a good barrier against the chemicals in many cleaning products, allowing you to focus on tidying the kitchen without worrying about irritated or chapped hands. 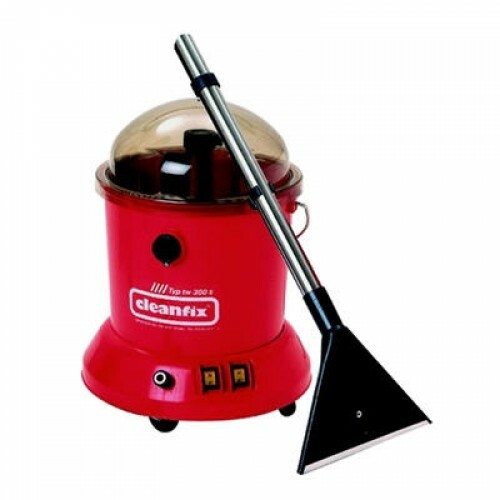 Once you have basic cleaning equipment, you can turn your attention to purchasing the best cleaning products online. To save money, consider buying some of your products in bulk. With an initial investment of some high-quality spray bottles, you can purchase bulk cleaning supplies online once a year and eliminate the need for frequent refills. Purchasing products in bulk can also save you money over individually packaged cleaning supplies. In addition to being economical and convenient, bulk supplies reduce packaging waste. Be sure to label your bottles clearly so that you can keep your products organized and easily identifiable. Dishwasher Detergent  Whether you hand wash your dishes or enlist the aid of a labor-saving dishwasher, liquid detergent will be in constant demand. A good quality detergent is the key to making sure your plates are clean and your glassware spotless and ready for company. Sanitisers  The kitchen is the heart of the home, providing a place to prepare the family’s meals and gather to share daily experiences. Keeping it clean and safe is a priority for most people. Sanitisers kill bacteria and germs, assuring a safe surface for all of your food preparation needs. Cleaning Wipes  For those quick cleanup jobs, cleaning wipes can offer a useful alternative to heavy-duty rags. When you are in a rush or need just a quick touch-up to an already fairly clean kitchen, cleaning wipes are a great option. As an added bonus, many cleaning wipes do double duty as kitchen sanitizers. Degreaser  Daily cooking can leave your kitchen covered in a layer of grease. From grilling hamburgers to frying your favorite comfort food, it’s not easy to avoid a greasy kitchen. Luckily, a degreaser can easily cut through even the toughest grease and grime that your grill or oven produce, leaving your kitchen beautiful day after day. Glass Cleaner  Streak-free oven doors and kitchen windows are simple to maintain with a good glass cleaner. Glass cleaners can also be used to polish up your sink and faucet, brightening your entire kitchen with one simple swipe. Paired with some rags, a good glass cleaner is difficult to beat for keeping your kitchen sparkling. Regardless of whether you run an industrial kitchen that feeds hundreds of people or spend your meal times preparing food in the comfort of your own cozy kitchen, having the right assortment of cleaning equipment and products can simplify cleanup. Instead of spending your Saturday shopping for cleaning supplies in Sydney, order your products online the next time you need to stock up, freeing up your Saturday for a little weekend fun.